French fries have become an icon of western comfort food. What is fast food without a side of fries? Despite what its name suggests, French fries are actually not a French creation! In fact, the first country in Europe to discover potatoes was Spain. In 1537, a Spanish explorer encountered the vegetable in Colombia. 20 years later, the potatoes were brought back to Spain and Italy. In the late-1600s, potatoes were cooked by Belgian villagers in the same way they prepared fish – slicing and frying them. This is the earliest interpretation of what we now know as French fries. American soldiers stationed in Belgium during World War I were the first of their country to have a taste of the dish. Since Belgian soldiers spoke in French, they chose to nickname it as French fries and the name stuck. 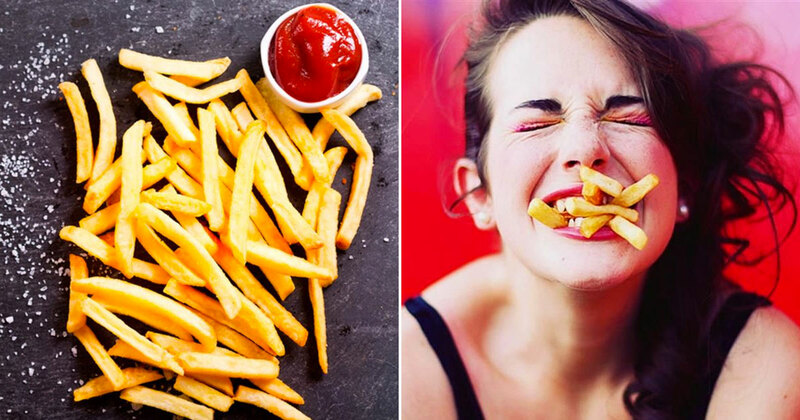 In this quiz, we will ask you several questions to analyze your taste in French fries. That will help us guess your age accurately! Don’t believe we can? Try it out for yourself. Which fast-food restaurant sells the best fries? Which condiment goes best with fries? Which is your favorite kind of fries? Which is your least favorite kind of fries? Which unique fries would you be interested in trying? Which main dish is best served with fries? Which other side works well with fries? Pick a drink you'd gulp down with some fries? Would you like any of these high-end fries? What topping would you enjoy on fries? Pick an international fry dish you'd travel for! Choose an alternative to fries made from potatoes that you wouldn't mind trying! What do you use to cook fries perfectly? Which fried potato dish do you enjoy apart from fries? Finally, pick an art piece made of fries that you would love!